The market is full of massage chairs that sport zero gravity massage capability. But sometimes it’s not as simple as just picking a chair that has all the latest features. You want a massage chair that executes all of its advertised features well. 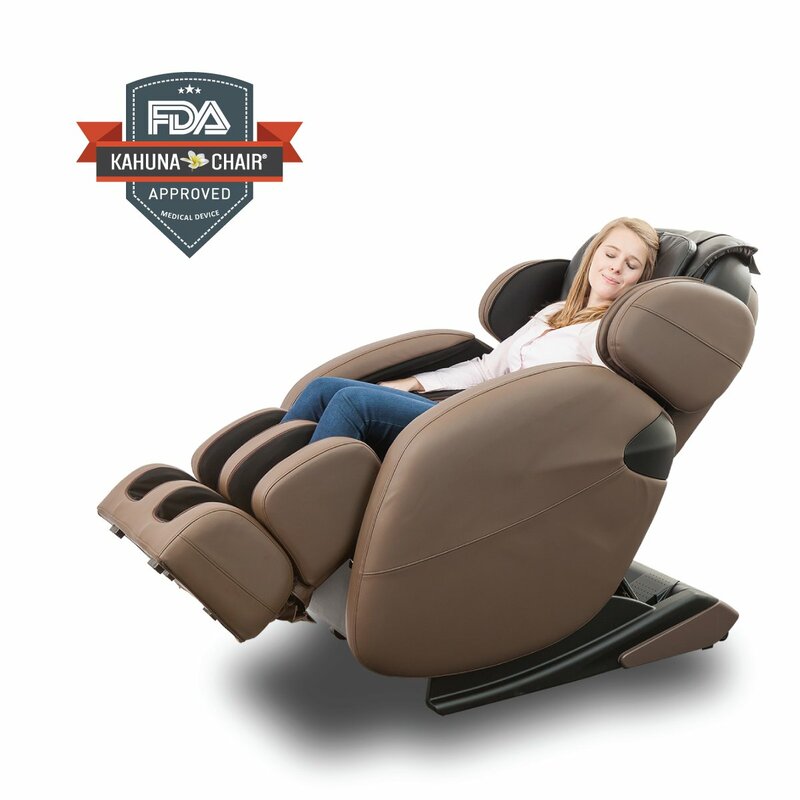 If you want a chair that makes good use of the zero gravity massage feature, then you should consider looking at the Kahuna LM6800. It is one of the best zero gravity massage chairs out there. The Kahuna LM6800 is a very attractive massage chair that is built to a high quality. It is comfortable even for prolonged massage sessions. The chair’s basic structure is made from steel so it is able to withstand a lot of use without getting worn down with time. It is a sturdy chair that will surely serve its owners for many years. Zero gravity is a feature that is raved about by many massage chair enthusiasts. This feature allows you to experience the ultimate pleasure and relief from pain in your body using a massage chair. The zero gravity position has been observed to provide the most effective position for your body to enjoy your massage. The human body is effectively weightless in this position, so there is no uneven stress on any other body part and so the massage delivered by the massage chair can really work its magic. The yoga stretch program of the Kahuna massage chair provides your body with a full stretch that focuses on the legs and pelvic region. The yoga stretch can be combined with a regular massage routine so your body can be massaged while it is in a stretched position. The yoga stretch is designed and apparently rids your body of toxins and facilitates fresh blood flow that promotes healing and a feeling of well being overall. L-track systems have been surpassed by S-track systems but the one in the Kahuna LM6800 does its job very well. It has 4 roller wheels that support your neck all the way to your buttocks. This is a particularly long L-track system that provides comprehensive support for your spine. In fact no other massage chair in this price range offers such a massage system and that definitely makes the Kahuna LM6800 a very promising option. Body scan is one of the most important features in a massage chairs. Fortunately the Kahuna LM6800 also features a body scan function that scans the entire body and prepares the massage chair to accommodate the body of the person using it. So no matter what type of body type you have, the LM6800 will automatically adjust itself for you. Verified reviews of the Kahuna LM6800 on Amazon are overwhelmingly positive. Owners praise the zero gravity capabilities of this massage chair given its very reasonable price point. In fact one of the most common praises of this chair have to be with its price and the amount of features that are on offer. The chair provides a real zero gravity experience that is not just an advertisement gimmick. The LM6800 actually has 3 zero gravity positions with the final setting positioning the user’s feet 4 to 6 inches above their heart. Users have also made a point of how accommodating this chair is. Because of its solid steel construction, it is able to accommodate users up to 6’4” easily. However, it should be pointed out that that is the limit to which this massage chair will extend. The preprogrammed modes have also been praised especially the yoga stretch program which users have described as very relaxing. The best thing about this chair is its price. No other chair can match the LM6800 for features in the budget it is available for. This is one of the main reasons for its popularity on Amazon and why we have featured it on the top of our list. This is definitely one of the best massage chairs on the market today.